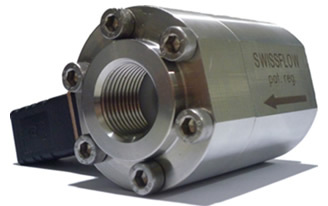 The SF800/6 is the high-pressure version of the SF800 with extra metal enclosure. With an operating pressure of 250 bar and burst pressure of 750 bar, it is perfect for more demanding and high stress environments while retaining the versatility and other qualities of the SF800. The inside of the sensor is similar to the SF800, and is made of high-quality plastics and composites with great chemical and thermal resilience and no susceptibility to limescale.